Celebrate! We Are A 2016 Yelp Award Winner! Many thanks to all my gorgeous clients. Thank you for your continued patronage but most importantly, thank you for having the strength, energy and gumption to get yourself on the road to health and for allowing me to be a part of that journey. You teach and inspire me every day and I am honored to serve you. 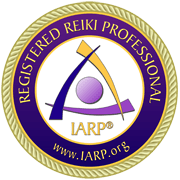 To celebrate this award we will be offering 50% Off of Reiki Healing Sessions. Once you complete a review on Yelp or Google you can schedule your discounted session here (Last option on page). Next > Got Carbohydrate Cravings? Squelch ‘Em!